Members of a heavily-armed group of vigilantes calling themselves the United Constitutional Patriots intercepted and apprehended hundreds of asylum seekers this week, despite having no authority to do so. One of the men filmed while others took the asylum seekers, including children, into custody on Tuesday night. For the past two months, the group has camped out in the desert near the town of Sunland Park, on the border between New Mexico and the Mexican state of Chihuahua. A Customs and Border Protection (CBP) official told ThinkProgress that while the agency welcomes community assistance, it does not condone vigilante groups taking border enforcement into their own hands. “We’re just Americans,” Benvie said. “We’re veterans, we’re ex-law enforcement, we’re people who care about the over-strained Border Patrol.” As to why the group was so heavily armed, Benvie contended that there was danger that went along with their patrols, since they were supposedly interfering with cartel-run trafficking. Identity Evropa is at the forefront of the racist "alt-right's" effort to recruit white, college-aged men and transform them into the fashionable new face of white nationalism. Rather than denigrating people of color, the campus-based organization focuses on raising white racial consciousness, building community based on shared racial identity and intellectualizing white supremacist ideology. Trump signed an executive order today to ensure that this type of speech is given equal protection on college campuses nationwide today. (CNN) - The State Department on Thursday announced that a former Fox News reporter would lead its agency in charge of efforts to counter foreign propaganda and disinformation. KULR-8 received a tip from an employee within Wells Fargo with knowledge of the issue. 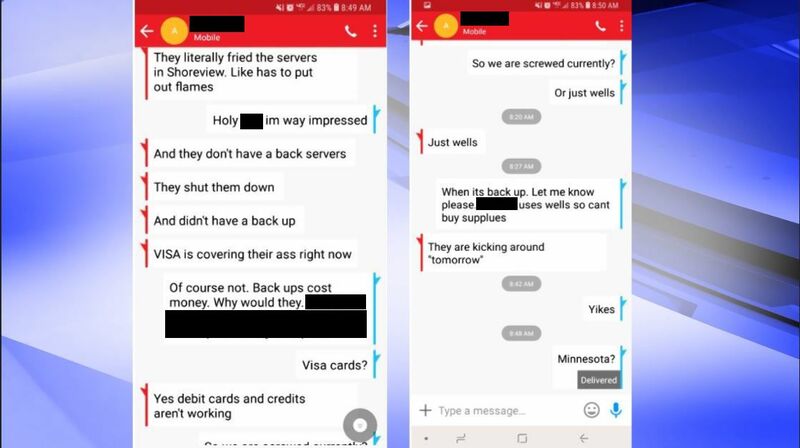 According to the employee the outage is a result of a fire at the server farm located in Shoreview, Minnesota. 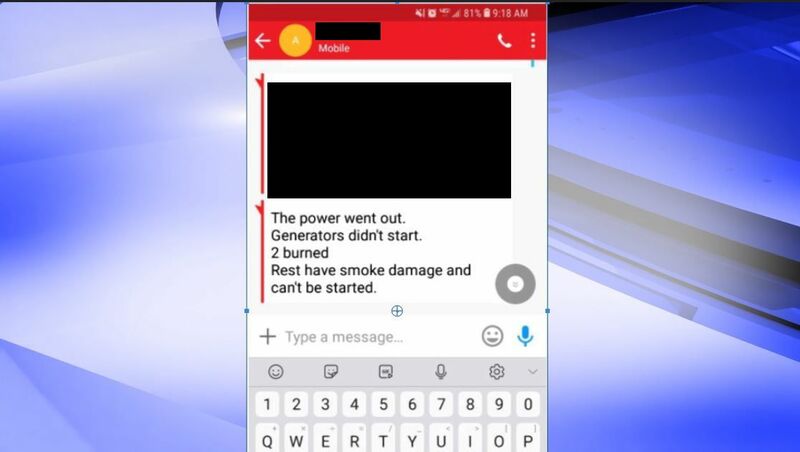 As a result of the fire the servers had to be shut down. (CNN) An Indiana school superintendent is accused of pretending a sick student was her son so she could get him treatment. She's been arrested and charged with fraud, but the school board says it stands behind her. Three felonies and a misdemeanor. You’re one of the good ones; Dr. Smitherman. Shutdown expected to stretch into 2019 as sides are still "very far apart"
Washington — Members of the House of Representatives were notified that no votes are expected to take place this week, a congressional aide told CBS News, which virtually guarantees that the partial government shutdown will drag on into the new year. Both the Senate and House reconvened Thursday after the Christmas break, but few lawmakers showed up on Capitol Hill. Justin Goodman, a spokesperson for Senate Minority Leader Chuck Schumer, D-New York, said Democrats and the White House are still "very far apart" in discussions to broker a deal and reopen the government. "As our office stated immediately following the Saturday meeting, the two sides were 'still very far apart' — and still are today because of the President's insistence on keeping the government closed over his expensive and impractical wall," Goodman wrote in a statement Thursday afternoon. Rep. James McGovern, D-Massachusetts, said Republican leadership blocked efforts to reopen the government by refusing to allow debate on a spending bill. "It is outrageous that Republicans once again blocked our attempt to debate a bill to end the Trump Shutdown and reopen the government," McGovern wrote in a statement Thursday. "Federal workers should not be held hostage by the president's demand for a useless and offensive border wall that he promised Mexico would pay for." Both Congress chambers adjourned within minutes without debate to end the shutdown.